The Chicago Red Stars beat Utah Royals FC 2-0 on Saturday night to climb into fifth place in the NWSL standings. Katie Naughton and Vanessa DiBernardo scored as the Red Stars closed out Week 13 in the NWSL at Toyota Park in Bridgeview, Illinois. The Red Stars are now unbeaten in their last three games, going 2-0-1 in that span, after a string of seven games without a win. They are now 4-3-7 on the season with 19 points. The loss for Utah Royals FC drops them to 4-3-5 (17 points) and comes just a week after their big upset of the previously unbeaten North Carolina Courage. Utah sits in sixth place in the NWSL standings. After a scoreless first half, the Red Stars got on the board first in the 62nd minute. After a handball called on Utah defender Becca Moros near midfield, Red Stars midfielder Danielle Colaprico served a long service into the box. Naughton rose up and headed it home for her the first goal of her NWSL career. Utah goalkeeper Abby Smith hit her face on the post trying to make the save, but stayed in the game. The Red Stars doubled the lead just eight minutes later. 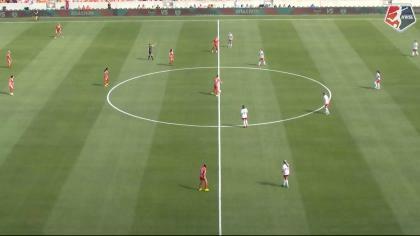 DiBernardo avoided a Utah tackle at midfield and passed the ball up to Kerr running down the right wing. Kerr dribbled into the box and then passed back to DiBernardo, now open at the top of the penalty area. DiBernardo took one touch, turned and shot with her right foot and hit a low, hard shot past Smith to put the Red Stars up 2-0. DiBernardo returned to action for Chicago last week after missing the start of the season with a pelvic stress fracture. She subbed into Saturday night’s match in the 66th minute and scored just four minutes later. Kerr was busy all night, recording two shots on goal and six chances created. Red Stars forward Yuki Nagasato had a great chance to make it 3-0 in the 73rd minute, but her effort was denied by the crossbar. Nagasato finished the game with five total shots and two chances created. For the Red Stars, midfielder Morgan Brian was a late scratch from the starting lineup and was replaced by Nikki Stanton. Brian signed a contract with the Red Stars earlier this week and Saturday night would’ve been her 2018 season debut. Casey Short started at left back, her first start of the year, after returning from injury last week as well. She played the first half before being replaced by Sarah Gorden. Julie Ertz once again played center back for the second straight game and made eight clearances and one block in the game. New Utah forward Christen Press and defender Sam Johnson, who were acquired in a trade with the Red Stars and Dash earlier this week, did not appear in the match. 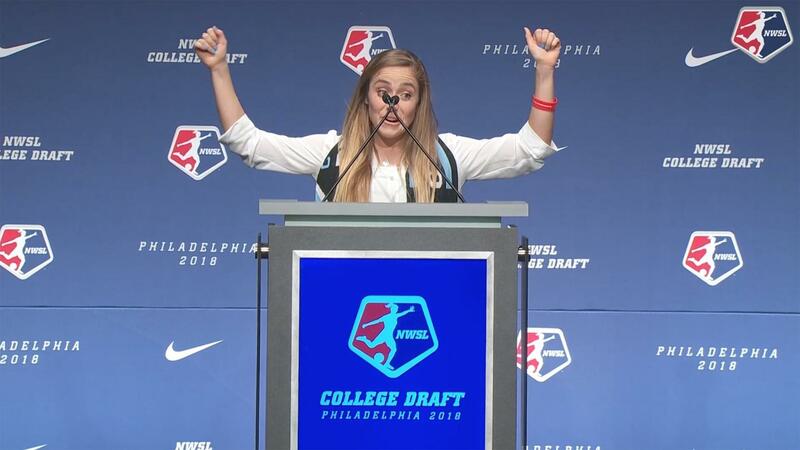 Neither did new Chicago defender Brooke Elby, who was also part of the trade. The Red Stars will next face the Spirit on Sunday, July 1. Utah Royals FC will be in action on Wednesday night, at home vs. the Reign. Match ends, Chicago Red Stars 2, Utah Royals 0. Second Half ends, Chicago Red Stars 2, Utah Royals 0. Attempt missed. Katrina-Lee Gorry (Utah Royals) right footed shot from outside the box is too high. Assisted by Elise Thorsnes. Yuki Nagasato (Chicago Red Stars) is shown the yellow card for a bad foul. Attempt blocked. Samantha Kerr (Chicago Red Stars) right footed shot from the centre of the box is blocked. Assisted by Alyssa Mautz with a through ball. Offside, Chicago Red Stars. Alyssa Mautz tries a through ball, but Samantha Kerr is caught offside. Attempt blocked. Katie Bowen (Utah Royals) right footed shot from outside the box is blocked. Assisted by Becky Sauerbrunn. Attempt missed. Samantha Kerr (Chicago Red Stars) right footed shot from outside the box misses to the right. Assisted by Yuki Nagasato. Yuki Nagasato (Chicago Red Stars) hits the bar with a left footed shot from outside the box. Assisted by Samantha Kerr. Attempt missed. Yuki Nagasato (Chicago Red Stars) left footed shot from the left side of the box is close, but misses to the left. Assisted by Vanessa Di Bernardo. Attempt blocked. Katrina-Lee Gorry (Utah Royals) right footed shot from outside the box is blocked. Substitution, Utah Royals. Katie Stengel replaces Brittany Ratcliffe. Goal! Chicago Red Stars 2, Utah Royals 0. Vanessa Di Bernardo (Chicago Red Stars) right footed shot from the centre of the box to the bottom left corner. Assisted by Samantha Kerr. Attempt missed. Rachel Corsie (Utah Royals) right footed shot from the left side of the six yard box is close, but misses to the left following a corner. Attempt saved. Rachel Corsie (Utah Royals) right footed shot from very close range is saved in the centre of the goal. Corner, Utah Royals. Conceded by Sarah Gorden. Goal! Chicago Red Stars 1, Utah Royals 0. Katie Naughton (Chicago Red Stars) header from the centre of the box to the top left corner. Assisted by Danielle Colaprico following a set piece situation. Hand ball by Rebecca Moros (Utah Royals). Attempt blocked. Yuki Nagasato (Chicago Red Stars) header from the left side of the six yard box is blocked. Assisted by Arin Gilliland. Foul by Brittany Ratcliffe (Utah Royals). Attempt blocked. Katrina-Lee Gorry (Utah Royals) left footed shot from the centre of the box is blocked. Assisted by Diana Matheson. Attempt missed. Katie Naughton (Chicago Red Stars) right footed shot from the centre of the box is too high. Assisted by Samantha Kerr following a set piece situation. Attempt blocked. Michele Vasconcelos (Chicago Red Stars) left footed shot from the centre of the box is blocked. Assisted by Katie Naughton. Attempt missed. Arin Gilliland (Chicago Red Stars) header from the centre of the box misses to the left. Assisted by Danielle Colaprico with a cross following a corner. Brittany Ratcliffe (Utah Royals) wins a free kick in the defensive half. Substitution, Chicago Red Stars. Sarah Gorden replaces Casey Short. Second Half begins Chicago Red Stars 0, Utah Royals 0. First Half ends, Chicago Red Stars 0, Utah Royals 0. Attempt saved. Katrina-Lee Gorry (Utah Royals) right footed shot from outside the box is saved in the centre of the goal. Assisted by Amy Rodriguez. Attempt saved. Samantha Kerr (Chicago Red Stars) right footed shot from the centre of the box is saved in the centre of the goal. Assisted by Michele Vasconcelos. Attempt missed. Amy Rodriguez (Utah Royals) right footed shot from the centre of the box is just a bit too high. Assisted by Katie Bowen with a cross. Attempt blocked. Gunnhildur Yrsa Jonsdottir (Utah Royals) right footed shot from the left side of the box is blocked. Assisted by Amy Rodriguez. Attempt missed. Alyssa Mautz (Chicago Red Stars) header from the centre of the box misses to the right. Assisted by Samantha Kerr with a headed pass. Attempt blocked. Yuki Nagasato (Chicago Red Stars) left footed shot from the centre of the box is blocked. Assisted by Samantha Kerr. Attempt saved. Katrina-Lee Gorry (Utah Royals) header from very close range is saved in the bottom left corner. Assisted by Becky Sauerbrunn with a cross. Rachel Corsie (Utah Royals) wins a free kick on the left wing. Attempt missed. Casey Short (Chicago Red Stars) header from the centre of the box misses to the right. Assisted by Danielle Colaprico with a cross following a corner. Attempt missed. Yuki Nagasato (Chicago Red Stars) right footed shot from outside the box misses to the left. Assisted by Samantha Kerr. Attempt saved. Alyssa Mautz (Chicago Red Stars) left footed shot from outside the box is saved in the centre of the goal. Assisted by Yuki Nagasato.